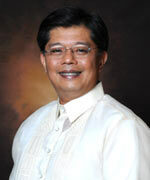 RH Law signed under heavy cloak of secrecy" last Dec. 21, catching both nation and bishops by surprise. P-Noy advisers coaxed signing to pre-empt backlash, but event falls into ‘gapangan’ pattern. Mikey, explaining GMA‘s No vote, cites how population growth fell below 2% in years 2007-2010---the first time since 1903. Soon after the Dec. 17 voting in Congress on the RH bill, news came out that the President would likely sign it into law only after the New Year---in order to allow passions to cool down on both sides of this most controversial issue. My immediate reaction was, GOOD IDEA. I felt the postponement of the signing would help enable people who felt quite passionate about it---either for or against---to have a more peaceful celebration of the Christmas season. In fact, at the 76th birthday celebration of former Speaker Jose de Venecia last Dec. 26 at his residence, I ran into industrialist Ramon Ang of PAL and SMC, and I even asked Don Ramon, whom I know to be close to the Palace, to convey the message from a number of people that it would be quite good for P-Noy to sign the RH bill after the New Year---as the Palace itself had floated. Then, lo and behold, last Friday evening, Dec. 28, Feast of the Holy Innocents, news leaked out in the internet that P-Noy had already signed the bill into law (now RA 10354) “quietly” last Dec. 21. By yesterday morning the admission by House Majority Leader Neptali Gonzalez II was all over the papers---that indeed the bill was signed into law before the President went up to Baguio for a four-day vacation. Palace spokesperson Abigail Valte, however, refused to confirm or deny it. Apparently, the Palace had heard of the plan of certain Catholic organizations to float 1 million red ribbons all across the nation, as a continuing protest against the Congress-passed bill---in the hope that the President could be coaxed at the last minute to “veto” it by refusing to sign it. Thus, the President was advised to rush up its signing without the usual fanfare that attends other laws through various presidencies. This writer, an observer of political events in this country for nearly 30 years, has never seen anything like the secret, “quiet” surreptitious signing of the RH bill into law last Dec. 21. Frankly I didn’t have any illusions of P-Noy not signing it at all---of having a bolt from heaven striking him into conversion, like Saul of Tarsus on the way to Damascus, converting him to the greatest missionary ever, St. Paul the Apostle. But I thought P-Noy would have the political sense to delay it until after New Year---for the sake of a peaceful Christmas Season and in the spirit of reconciliation, after the shameful arm-twisting and bribing in the House. Apparently P-Noy’s advisers became fearful of a possible backlash, now that the reality of the passage of that bill is settling down on anti-RH groups. What hurt the anti-RH people, however, was that the Palace was the one that said there would be no signing before New Year, to allow passions to cool down. Then, surreptitiously, under heavy cloak of secrecy P-Noy still signed it last Dec. 21. The reaction among a number of people I know was: sanay talaga sa gapangan ang palasyo. They recalled how P-Noy's subalterns collared House members one by one in the Congressional Lounge during two separate votings, asking them to go home rather than vote. The signing, they said, followed the same pattern. Catholic organizations were certainly caught flat-footed by the secret signing; in fact, certain places around the country bloomed with red, e.g., around the Baguio Cathedral, in the hope that they could still make a loud statement of protest to the President. But despite the new law, the battle against the RH issue is far from over. At this very minute some prominent Catholic lawyers and some staunch Pro-Life representatives are preparing to challenge the constitutionality of certain provisions of RA 10354 before the Supreme Court. To be sure, prospects are not bright in the Sereno Court which has all the makings of a P-Noy-pliant court---with the appointment of four pro-Pinoy justices and with the horror of impeachment hanging over at least one justice’s head. But who knows? Maybe out of 15 justices, eight might see the grave threats against family and life provisions of the Constitution in this new law. Grace might work. At any rate, every move vs. this law is a means to educating the people on its evils, and even now, many in the media are already seeing this issue in a new light. One of the most informative speeches of the anti-RH bloc in the House was delivered by party-list Rep. Mikey Arroyo who adopted the explanation of his mother, Pampanga Rep. Gloria Macapagal Arroyo, on the RH bill. As Mikey stated, in the 1990s before GMA became President, “family planning meant artificial birth control.” Yet, he stressed, average population growth was a high 2.35% from 1995 to 2000. When GMA became President, he said, the population growth rate slowed to 2.04% a year from 2004 to 2007, and DECELERATED even more to 1.9% from 2007 to 2010. That period from 2007 to 2010, emphasized Mikey, was the FIRST TIME POPULATION GROWTH FELL BELOW 2% SINCE 1903. Arroyo stressed that this happened without his mother pushing for artificial birth control as had been done in previous years. Rather, he said, GMA “focused on responsible parenthood, respect for life, birth spacing, female education and empowerment, and informed choice.” GMA, said Mikey, emphasized informing about modern natural family planning to correct the bias in the Ramos years which taught only artificial birth control, AND TO CONFORM TO THE CULTURE AND VALUES OF A PREDOMINANTLY CATHOLIC POPULATION (emphasis BOC’s). Indeed, as Mikey stressed, in his mother’s time, economic conditions improved, to 7.9% growth rate based on GDP, and 8.2% based on Gross National Income, as of the first half of 2010. On the other hand, our self-rated poverty dropped from 55% in 2001, when she came into power, to 43% by the time she stepped down on June 30, 2010. In fact, Arroyo stressed, during the global recession, the Philippines was among the 1/3 of the world that did not suffer negative growth. In Asia the countries that managed to avoid recession were those with LARGE DOMESTIC MARKETS, such as China, India, Indonesia, Vietnam and the Philippines. Mikey Arroyo emphasized that as an economist, his mother GMA believes that “the RH bill is an unnecessary policy prescription." And as practicing Catholics, he said, his mother and he “cannot be unmindful of the faith that formed our conscience and our country’s culture.” He and GMA therefore voted No to RH, as did Camarines Sur Rep. Diosdado (Dato) Macapagal Arroyo. President Ronald Reagan clearly said: "The best contraceptive is economic growth." What a pity that GMA's eco student, Noynoy Aquino, could only see the contraceptive, as the liberal left urged him to do, and not the bigger picture--- how unnecessary it is when there is economic growth and the poor have jobs. Timely reminder in the internet on Feast of St. Stephen today: “The Catholic Church---Outlasting Oppressive Governments since 33 A.D.” Lacson laments bishops continuing opposition to RH bill, but this may be due mainly to bribery and intimidation that attended House vote. Monsod’s assertions questionable. During this Christmas Season, some media opined that with the passage of the RH bill, the influence of the Catholic Church in the Philippines, which led the anti-RH campaign, is decidedly on the decline. Some critics said the local church is out of sync with its people, while others even argued with ill-disguised rejoicing that it's a dying institution. Several things must be noted about this ancient institution. A true believer posted on the internet right after the final voting in Congress this reminder: “The Catholic Church---Outlasting Oppressive Governments since 33 A.D.” That date refers to the start of the persecution of the Christians after the crucifixion of Jesus Christ during the reign of the Roman Emperor Tiberius Ceasar (serendipitously, today marks the feast of St. Stephen, the first martyr of the Church). Whoever posted the above reminder must be thinking of what Standard columnist Kit Tatad terms the first true opposition to President Aquino---the Church. This consists of the faith-based loose assortment of people---clergy as well as the faithful---who cannot be bribed and who nurture deep convictions. A sampling of them filled the House gallery doggedly day in and day out in their blazing red outfits during deliberations and subsequent votings on the RH bill---a far cry from the hakot crowd of purple across the cavernous hall. The second point is that the history of the Church shows that the more it’s persecuted, the more glorious it becomes. The bishops' stubborn insistence on giving no quarter to the acceptance of contraceptives may have caused some Catholics to drop out or be alienated from the Church; but I suspect this is just another winnowing process it's going through in its 2000-year history. Those who have remained with it are are the “die-hard” members of the Faith. In its long history, the Church has had to make tough decisions that shook it to its core. Take its refusal to yield to King Henry VIII’s demand that the Church recognize his divorce from Catherine and marriage to Anne Boleyn. In the process it lost England. Yet the Church, critics to the contrary, still stands strong, confident of its Founder's promise that He will be with it "to the consummation of the world." The Church’s opposition to the RH issue is based primarily on its staunch belief that human life begins at conception (affirmed by our Constitution) and that contraception prevents this life from flourishing or even kills it in the womb; thus its use is immoral and contrary to the teaching of the Church. It’s easy to see that it will remain adamant on this point even though it loses segments of the population who, as Standard columnist Gary Olivar noted, prefer to be “cafeteria Catholics”---choosing points they like about church teaching and discarding those they don’t like. This immutability of its teaching over the many centuries is both the glory and the pain, the agony and the ecstasy of the Bride of Christ. But in addition to historic argument, it should be stressed that the 133 members of the House and 13 senators who voted to pass the RH bill last Dec. 17 do not truly represent the sentiment that the people want this bill. True, the surveys appear to convey this picture, but as some commentators noted, the survey companies have Aquino relatives as common denominator in their directorates. It’s a fact that the administration slugged its way to victory. The weekend before third-reading P-Noy certified the RH bill as urgent and this delivered the frightful message to his 92 party-mates in the House to vote or else. Even pro-RH commentators opined that P-Noy's move changed the equation. During the two votings in the House several Cabinet members invaded the congressional lounge in a show of massive insecurity about the possible outcome. They coaxed nine LP representatives to reverse their second-reading vote---and others to go home if their conscience could not stomach signing the bill. And it worked: of the 286 House solons, 66 failed to show up, but many of them were believed to be anti-RH in their hearts and consciences. There were also threats against re-electionist legislators that they won’t get their pork barrel, public works projects, road users’ tax proceeds and the Speaker’s one-month salary bonus if they vote against the RH bill. Solons feared this would happen, for among the five reps who haven’t received their pork barrel for the past two years is staunch oppositionist Mitos Magsaysay of Zambales. In a front-page story of Manila Standard on Dec. 6, 2012, Alliance of Concerned Teachers Rep. Antonio Tinio spoke about the P280 million to be given to each House solon voting for RH, or to be withheld in a No-vote. That story has never been denied. In the final days some solons spoke openly about their fears, and in an election year we non-politicians could only commiserate with their buckling down before an administration that unscrupulously pushed threats with taxpayers’ money. Rabid pro-RH Sen. Panfilo Lacson laments that some bishops still feel bitter about the passage of the RH bill, when they should be the first to “reconcile” factions in our deeply divided people---"to let the healing begin.” But if some bishops still feel deeply aggrieved today, I surmise it’s because they saw how dirty the game was played. There was intimidation, threat and bribery---no free hand for some of the 133 who voted for the bill and the 66 who stayed away. It was only the 79 anti-RH solons who were truly free to vote their conviction. The source cited maintains as its main pillar contraception and population control, but there are many other sources that would dispute its assertion. For instance, there's the third-edition book titled “A Consumer’s Guide to The Pill and Other Drugs,” by John Wilks (Bachelor in Pharm., MPS), Director of the Drug Information Centre of Western Sydney and the first Sydney pharmacist to be accredited by the Pharmacy Guide of Australia to the new Quality Care standards. More interestingly, Wilks provides consultancy services to other community pharmacists interested in patient counseling, and has held positions as researcher-investigator in a variety of projects linked with both the University of Sydney and PHARMACEUTICAL MANUFACTURERS (emphasis BOC’s). In other words, Wilks knew of the various contraceptive drugs whereof he spoke. Citing Prof. R. Rahwan’s opinion that certain drugs “from a biological standpoint, must therefore be considered an early abortifacient approach,” Wilks warned, “The potent capacity of female hormones to affect every aspect of a woman’s body demands that a detailed case history and physical examination be performed, including the ascertaining of pregnancy.” Wilks adds that “These are mandatory pre-requisites. Only a doctor can meet these criteria. Any move away from this model of health care is foolish in the extreme. De-scheduling of potent drugs trivializes the complexity of the pill’s side effects and, consequently, BELITTLES THE DIGNITY OF WOMEN. IT IMPLIES, IN EFFECT, THAT WOMEN ARE NOT WORTH WORRYING ABOUT. (emphasis BOC’s). This is exactly the beef of many anti-RH people, apart from the morality of contraceptives, which is a separate debate. This is, that in the bombardment of our women, particularly in the poorer sectors, with contraceptives, they would be left to the mercy of the Food and Drug Administration---which is so ill-equipped even in detecting mercury in cosmetics, how much more with the more complicated contraceptives---and under-trained health workers mandated under severe penalty to push these deadly drugs to control population growth. Monsod also cites un-sourced 2008 data estimating abortions at an annual rate of 500,000. She then went on to argue that had the RH bill been passed when it first surfaced 14 years ago, many abortions would not have occurred, “because obviously the conception of these babies would have been prevented” with wider access to contraceptives. What she does not say---or perhaps know---is that if the bill had been passed in 1998, there would be even more abortions, as some contraceptives, as Wilkes and Dr. Aguirre assert, are plainly abortifacient. In addition, there would have been many more deaths of women from cancers of various kinds, for it is an accepted fact in the medical world that some contraceptives result in cancer and other female disorders. High drama in Cebu days before birth of the Prince of Peace. Gov. Gwen Garcia terms six-month suspension as “plain and simple power grab” vs. LP cabal. Nation watches in deep anxiety. Critics opine that the recent suspension of Cebu Gov. Gwen Garcia, as personally handed down by no less than the President of the Republic,and her replacement by Vice-Governor Agnes Almendras Magpale, sister of former Energy Secretary and now ranking Palace official Rene Almendras, smack of political persecution. There is reason to support this argument. Under the Local Government Code, within 30 days of investigation of a local official being charged, the result must be handed down; moreover the Code dictates that the shelf-life of an administrative case should be no more than 120 days. These safeguards were doubtless installed precisely to avoid political harassment of the charged official. But as Gov. Garcia argued in an urgent motion before the Court of Appeals, the investigation against her filed by then Vice-Governor Gregorio Sanchez Jr. was terminated last Aug. 31, 2011. But the decision to suspend her, pointed out Gwen, came out only last Dec. 17, 2012---or 474 days later (in fact Sanchez had already died of cancer by April of 2011). The question she now raises is, why only now, with elections six months away, is she being suspended? DILG Secretary Mar Roxas opined that he is just enforcing the recommendation to the Palace of his predecessor, the late Jesse Robredo, just weeks before the latter died in a plane crash. But Gwen Garcia asserts that assuming that Robredo had made this recommendation, then it was violative of the Code which sets the 120-day deadline for dismissing an administrative case. 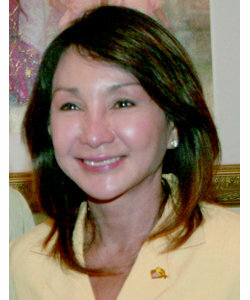 Besides, as Star columnist Bobit Avila argues, "didn't this same Jesse Robredo not give Gov. Garcia and Cebu province two plaques of appreciation for Good Housekeeping?" Snorts Gwen: "My suspension is plain and simple power grab.” It’s easy to see her logic. Three-term Gov. Garcia is scheduled to run for a congressional seat in Cebu under the local party called National Unity Party (NUP), led by her father, Rep. Pablo Garcia Sr. On the other hand, her brother, Rep. Pablo John Garcia, will run for Governor vs. the LP candidate handily defeated by Gwen in 2010, Hilario Davide Jr. Suspending Gwen is supreme irony, as the nation will celebrate the birth of the Prince of Peace in three days. With the controversial passage of the RH bill and now this political earthquake in Cebu, Christmas has never been this troubled in this nation’s life. We feel especially for the deeply religious Cebuanos. Politically a 6-month suspension for Gwen will mean that the NUP would be unable to mobilize effectively for the 2013 elections in all the posts of its many candidates. Harsh penalty indeed for her making appointments to the vice-governor's office, as the charge sheet says. As a governor of another province reasoned on hearing this charge, this is common practice and allowed by the Code. As Garcia’s supporters began storming the Capitol even as thousands of police began barricading it on the DILG regional office’s orders, LP bigwigs were quick to point out that she could take recourse to filing a TRO with the court. As tensions rose in Cebu whose 2.4 million total votes are second only to Metro Manila’s, analysts try to fathom the administration’s latest power move. Apparently the LP seeks to strengthen the hand of its candidate for governor in 2013, Hilario Davide III, whom Gwen had defeated in 2010 by nearly 100,000 votes. In addition, Gwen’s suspension may be ascribed to two other reasons: her out-and-out support for Lakas candidate Gilbert Teodoro in 2010, as well as the fact that her father, Rep. Pabling Garcia, was the towering pillar of the anti-RH bloc in the House. Pabling attacked the bill with brilliance and studiousness despite his advanced age, exposing its constitutional infirmities and raking up archival laws few of his colleagues were aware of, to debunk provisions of the RH bill. The Garcias, who are close to the Church, are an old political family in Cebu and a powerhouse bloc to reckon with. Two Garcias, Pabling Sr. and Pablo John are representatives in Congress, Mayor Nelson Garcia of Dumanjug, Gwen’s brother, heads the Cebu chapter of the League of Municipalities of the Philippines, and another brother, Marlon Garcia, is Vice-Mayor of Barili town. Gwen's mother is a retired judge. Since Gwen’s suspension, at least 26 incumbent and former mayors some of them LPs, have trooped to the Capitol in support of the beleaguered governor. Tonight there were unverified reports that Garcia would be forcibly removed from the Capitol. But from what I gather, police troops around the Capitol have also turned rather apathetic in enforcing it. Understandable, as it’s almost the eve of Christmas, in case LP bigwigs have forgotten. Interestingly, the plight of the Garcia family is also dividing other political families. For instance, Cebu City’s current representative and its former longtime mayor Tomas Osmena, who abstained in the RH final vote, is said to be a mortal enemy of Gwen, while his cousin, former Sen. John Osmena, now running for mayor of Toledo, Cebu, is now allied with the Garcias who were his former political enemies too. Even President Aquino’s family is affected. Talk was that Gwen was supposed to have been ousted physically from the Capitol last Dec. 20, but suddenly former Tarlac Gov. Tingting Cojuangco arrived there and stayed until 3 am. the following day, to commiserate with and encourage her embattled friend. Tingting later made a startling assertion to media: that DILG Secretary Mar Roxas is now making the decisions in the Palace! Just how credible Tingting’s claim is will be for the political pundits to explore. One thing sure, though, the family reunion of the Cojuangcos this Christmas must be a bit icy, as P-Noy must be roaring mad at his aunt-in-law (Tingting is the wife of P-Noy’s uncle, former Rep. Peping Cojuangco, President Cory’s younger brother). I have not communicated with the Garcias, but from mutual friends, I learned that what pains Gwen particularly is that she nurtured the political career of Vice-Gov. Magpale. When Vice Gov. Sanchez died last year Magpale, as the No. 1 provincial board member, was sworn into the vice-governor’s post. The two women became best friends and worked well together, with Gwen bringing Agnes around in national as well as international conferences, giving her the needed exposure, or actually representing her. Now Magpale has become an arrogant puppet of the P-Noy administration and one of her first acts as governor was to shut down the province’s TV and news stations. On the other hand, Gwen certainly has the support of majority of the Cebuanos as well as various governors around the country, who are now said to be watching their backs lest they suffer a similar fate from the hands of the ruling LP. A number of top national officials have also called her up from Manila to express support. Six months before the 2013 elections, fissures from Cebu's huge tectonic quake will register on the national level as well. For the Garcias are allied with the United Nationalist Alliance (UNA) led by Vice President Jejomar Binay and former President Joseph Estrada. So far it has been only the UNA spokesperson, Navotas Rep. Toby Tiangco, who has been attacking the LP move vs. Gwen. VP Binay personally has kept quiet, doubtless worried about his own fate from the Ombudsman. But time may be running out and imminent split with the administration is in order for the VP, who's in charge of overseas Filipinos and the Housing Czar, and UNA. As for the Church in Cebu, an indication of its influence is that the representatives of the province and capital city, led by Rep. Pabling Garcia, voted near-solid against the RH bill. In the battle between Gwen and the LPs, it’s easy to see where the Church’s true sentiments would lie, given the travesty of justice against her. 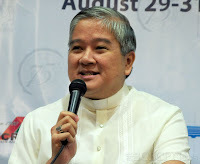 Reports say Cebu Archbishop and CBCP President Jose Palma met with Garcia’s group last night, but no details were given. The Cebu political quake will be keenly followed because of its grave implications on the political landscape. As in past tectonic events such as EDSA 1 and 2, there are imponderables. But one thing is certain: in its arrogance of power the P-Noy administration is making blunder after blunder. The nation watches. Last night, Monday, Dec. 17, as the House of Representatives went through third and final reading---and voting---on the RH bill, three Cabinet members, namely, Secretaries Mar Roxas, Florencio Abad and Ricky Carandang were back at the Congressional Lounge, frenziedly conferring with House solons. The presidential team last night was considerably smaller than that which invaded the House for last Wednesday's second reading. In addition to these three Cabinet members, also dispatched last Wednesday were Palace Spokesperson Edwin Lacierda and Presidential Adviser on the Environment Neric Acosta. Obviously they were ordered by the Palace to make sure the House solons toed the line. For as Majority Leader Neptali Gonzalez III was quoted in newspapers as boasting earlier today, the LP was going to punish party members who’d vote against the bill. It would crack the whip---and it sure did. At the end of the voting last night, nine LPs who had voted in the bloc of 104 anti-RH last Wednesday deserted and voted pro-RH. 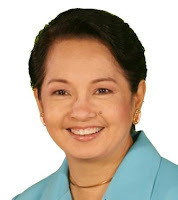 On the other hand, there were a number of LP members among the 92 or so in the House who were doubtless realistic about the heavy Palace pressures and their own political survival; but at the same time, they also had a deep conviction about the lack of merits of the RH bill and could not in conscience vote for it. These LPs simply chose to boycott second voting and last night they continued their desaparecido act. One could easily appreciate the tremendous inner tension in them. Prominently reported as missing in action during the two votings were LP Deputy Speaker Raul Daza who had remained in the fastnesses of Northern Samar, and LP Paranaque Rep. Roilo Golez. The latter had traded insults with RH bill main author Edcel Lagman during the period of amendments earlier last Wednesday, only to disappear later that night and miss the voting. A distinct shocker to the anti-RH bloc was the disappearance of Leyte's senior representative Sergio Apostol in last Wednesday's voting, only to show up last night to vote Yes. A red-blazered lady in the Anti gallery sadly noted that Rep. Apostol had been in various strategy meetings of the anti-RH bloc and his parish priest was even moved one day to acknowledge him as a staunch pro-Lifer. One of the imponderables in the RH proceedings indeed. Malacanang’s heavy hand worked: where last Wednesday’s voting produced 113 for the bill and 104 against it, with three abstentions, last night, it was 139 for RH and only 79 vs. RH, with seven abstentions. The anti-RH lost 25 solons, of which 20 had succumbed to Palace pressures. Interestingly, the 20 No votes that dropped out, when added to the 113 Yes vote of last Wednesday, equals exactly 133---the total pro-RH vote of last night. Amazing, isn’t it, as though processed by computer! On the other hand, the total number of solons who failed to show up in Wednesday's voting, 66 of them---who became the target of both P-Noy's and the bishops' importunings last weekend---was equal to the number that failed to show up last night. Again, amazing, as though by computer. Despite the Palace's threats of withholding projects and pork, these 66 solons were brave enough to defy it again. A day after last night's third voting it's difficult to say whether the 66 no-show last Wednesday were the same 66 that failed to come last night. But it's still stunning that despite all the harrassments from the Palace, 66 again didn't show up. I read that huge number as tacit but fearful support for anti-RH. My reasoning is that if majority of the 66 were pro-RH, they would have showed up. But they didn't. The five of the original 104 at second voting who failed to cast their votes last night hadn’t changed their minds---instead they suffered flight delays, reaching the House after it had voted. One solon, realizing her flight was cancelled, hurried over land and caught a flight from somewhere else---but was still late. Cebu’s patriarch, the fiercely anti-RH Deputy Speaker Pabling Garcia, asked presiding Deputy Speaker Arnulfo Fuentebella if his son Pablo John Garcia, whose flight from Cebu was delayed, could still vote as he still managed to get to the NAIA. House rules, however, required actual presence during the voting. Manny Pacquiao was a no show last night, after his spectacular grand return and No vote last Wednesday, for he was celebrating his birthday in GenSan. Manny should have prioritized voting. But whatever happened to Imelda Marcos who had cast her No vote last Wednesday? Bingbong Crisologo was absent from the voting last night, but luckily he made it during the repeat roll call to cast his No once again. The No bloc lost another vote when after many days of presiding over the RH deliberations, Deputy Speaker Erin Tanada was taken off the dais and instead, it was tasked by Speaker Feliciano Belmonte to Camarines Sur Deputy Speaker Noli Fuentebella, who had taken pains to explain his No vote last Wednesday. Though Fuentebella found a way to convey his No vote last night, it wasn’t recorded, for under the rules, the presiding officer only votes to break a tie. After the President certified the RH bill as urgent last Friday, enabling the chamber to short-circuit the process, administration bigwigs gathered in the Palace war-room last weekend and went to work. The target was to lure the 66 who failed to show up last Wednesday. But more importantly, the Palace's major thrust was said to be directed toward the 104 No votes. This would be understandable, for after all, reports said that over the weekend these 104 solons had talked and vowed to one another as well as to their respective bishops that they’d hold together---walang iwanan. Decimating their ranks would be double victory. Sadly, however, under terrible pressures from the Palace, 20 broke away. A solon in Luzon whose wife belongs to the LP was called by a ranking Cabinet member one hour before the voting, and asked whether he could switch to Yes. He politely said he couldn't. The Speaker kept his eyes cast down during her tirade, appearing to be reading something. But his loyal subaltern, Majority Leader Gonzalez, stung to the quick, stood up to hotly contest Magsaysay's denunciation; but by then the lady in red had left the session hall to respond to media calls in the lobby. Passions will continue to run high through the Christmas Season among the Filipino people over this highly divisive measure; but in Congress the tensions could be rekindled in the third week of January when the solons return from the Christmas break, up to adjournment for the election campaign period on Feb.8. This is because the implementing rules and regulations (IRR) of the RH law to be signed any time now by the President will have to be fleshed out. As the saying goes, the devil is in the details and the IRR will constitute a new battleground altogether. The question now is, after such bitter fight marked by the naked influence and use of power by Malacanang, will the 286 solons be able to work harmoniously and with civility? Those who will have the most difficult time from hereon would be those among the 104 who had voted No last Wednesday, only to succumb to Malacanang’s order. This is because there will always be the suspicion that they changed their votes on account of the P280 million per solon reported to be dangled by the Palace to those voting Yes. Recall that ACT party-list Rep. Antonio Tinio last Dec. 6 asserted in a startling Manila Standard front-page story that the Palace is dangling this package to each House member, which is said to consist of the regular pork barrel of P70 million each, plus PW projects, road users’ tax and the Speaker’s bonus equivalent to one month’s salary. That Standard story was never denied by Tinio, so that it would be tough to live this suspicion down for the 20 solons who shifted from No to Yes. Who received and who didn’t? This question will linger in the minds of the people and among the House members themselves. The pressures from Malacanang were tough and terrible, and in fact it's even a wonder that 79 solons refused to cave in and still voted anti-RH last night. Bravo, repeated bravo to the 79. They do us Filipinos proud. May pag-asa pa tayo. Not all is lost. 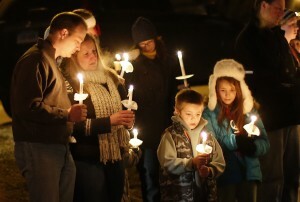 The world mourns and condemns the horrible killing of 20 children ages 5-10 years old and seven adults in a school in a small town in Connecticut, USA. This nightmare has been termed America’s Day of the Innocents, and grieving is universal especially since this took place while the world is in the midst of the Season of Love and Grace, as symbolized by the coming birth of the Christ Child. Here in the Philippines, as we approach Christmas and the Feast of the Holy Innocents on Dec.28, we also cannot help thinking of the millions who will be killed in their mothers’ womb through the carpet-bombing of some P3.5 billion yearly of contraceptives from abroad, being pushed by RA 4244, the RH Bill. One wonders why President Aquino is pushing this bill in this season---today, the third Sunday of Advent, is Gaudete Sunday, meaning Sunday of Joyful Rejoicing over His anticipated coming--- when we Filipinos as well as our balikbayan compatriots from all corners of the world ought to be united in celebration of our unique Pinoy Christmas? Why did the President go to the point of certifying the bill as urgent, in order to short-circuit its process of approval? Why couldn’t it have waited until the resumption of session on Jan. 21 up to Feb. 8, when Congress adjourns for the election campaign? Why is it that the Palace is employing such hard-ball tactics as dangling P280 million packages containing the solons’ PDAF, projects, proceeds from the road-users’ tax and the Speaker’s bonus per congressman (reportedly equivalent to their one-month salary of P97,000 each) to get this RH bill approved by the House, as per revelation of ACT Rep. Antonio Tinio in Manila Standard last Dec.6? Why is the Palace even threatening to withhold all these benefits from those who wouldn’t vote for the RH bill, as Tinio said? Or would it be, as the solon asserted, that out of the goodness of P-Noy’s and Speaker Feliciano Belmonte’s heart, they will still finally release these packages to anti-RH solons, but only after the elections---when their need is no longer acute? When confronted by this reality of our nation and people bitterly torn up over this bill in this most beautiful season of the Filipino Christmas, some anti-RH advocates are led to conclude that it’s the multi-billion dollar funding from abroad that’s driving the RH program---the huge lobby of giant foreign pharmaceutical companies, UN agencies and the US State Department’s program of population control of poor Third World countries that traces back to the days of Nixon's Secretary of State Henry Kissinger in the early ‘70s. Many columnists here have written of that secret memo from Kissinger that allegedly sought to control the resources of underdeveloped countries in Africa and Asia for utilization by the US in its imperialist drive. And looking back at the turn of events, there's good reason to sustain this belief. But I submit that far more laudable and courageous are the 104 representatives who, against overwhelming pressure from the Palace and its subalterns in the House, still found the courage to vote against the RH bill---knowing full well that by so doing they could individually lose many millions in pork barrel and other benefits they could use for their election campaign, and which their pro-RH colleagues are assured of. Heroic indeed are these 104 reps and the many solons who will fearlessly join them tomorrow at the third and final voting---and we should remember them come election time. As to the question whether a “Catholic vote” exists, one has only to see the many hundreds of red-attired people who troop to the right gallery of the House day in and day out during its deliberations, oftentimes up to the wee hours of the morning, to be convinced of this fact. The Catholic vote will snowball as the elections approach, and politicians can only ignore it at their peril. Pro-RH advocates insist that contraceptives and corresponding population control are the answer to the poverty of the country---control births in the poor families and wipe out poverty, so the pro-RH say. But even if these families were to curtail the number of children, it’s a fact that they’d still remain poor. Why? Because many heads of families are uneducated and bereft of skills training, and therefore unable to compete in a highly competitive world for scarce jobs. Among recent nations that have risen to First World or near-First World standards, South Korea stresses the lesson that it was its growing economic prosperity over the decades that drove down its high birth rate. Why? Because many hitherto poor couples attained opportunities for economic advancement, busy at times even in two simultaneous family businesses. The pro-RH people are reducing this argument to the point of stupidity, when there’s a lot of empirical data to show that the more educated the woman is, the less children she has, whereas it’s the women with the least education who have the largest. Thus, the contrast: 4.6 for women with no education to 2.8 for women with at least a college degree. There’s also empirical data to show that our population growth rates have been declining. Dr. Romulo Virola, head of the National Statistical Coordinating Board (NSCB) has written: “Consistent with declining population growth rates, FIES data show that the population of larger families is on the downtrend. Between 2000 and 2003 the number of families with sizes 1-3 and 4-6 increased annually by 10% and 3.5%, respectively while that of families with sizes 7-10 and more than 10 decreased by 2.7% and 5.5%, respectively." It’s not difficult to see that it has gone even lower by 2011 and 2012. Data also show that PH’s fertility rate went down from 7% in 1960 to 3.1 % in 2009---downward indeed. On the other hand, PH population growth rate decreased from 3% in 1960 to 1.8% in 2009. How much lower indeed can the country afford, without hurting its economic standing among nations? It’s a fact that PH’s robust and young labor force is the envy of our region and the greying countries of Europe. I had a chat recently with Deputy Speaker Jesus Crispin Remulla, who startled the House session hall last Wednesday when he asked that his co-authorship of the RH bill be withdrawn and he voted to abstain. Remulla, one of only two deputy speakers earlier regarded as pro-RH out of the six in this post (the other four are anti), said that what prompted him to quit the pro-RH bloc was what he termed the “economic” reason. Remulla believes that far from regarding population growth as a problem to lament and control, we should regard it as a boon. He argues that PH is among the very few nations in the world to have this edge and we should take advantage of it by cornering foreign direct investments (FDIs). Remulla is correct: We should, but we do not. In fact, PH remains second from the bottom among ASEAN countries in attracting FDIs, which, in turn, can be blamed on poor and conflicting economic policies here that fail to inspire confidence among foreign investors. The poor economic climate is the reason PH is poor, and bombarding the population with contraceptives as a population control measure is a poor attempt to camouflage it. Palace officials “invade” House reportedly to pressure solons to vote RH, and a good number of anti-RH solons (estimated by some as numbering 20) accordingly failed to vote last night. But so did a number of pro-RH who probably could no longer stomach RH bill too. Large undecided bloc could swing Monday's final vote. Manny Pacquiao says his two-minute KO by Marquez strengthened his respect for life, so he voted No to RH. Yesterday afternoon the period of amendments to House Bill No. 4244, the “substitute bill on “responsible Parenthood and Reproductive Health,” was underway---preparatory to an agreement between the House leadership and the anti-RH bloc to conduct voting on second reading. Soon, however, word reached the right gallery in the House, by then filled to the rafters with anti-RH advocates all in red (in contrast to the pro-RH group in purple across the cavernous hall), that several members of President Aquino’s Cabinet had arrived in the House and were holding court in the South Lounge next door. They were DILG Secretary Mar Roxas, Budget Secretary Butch Abad, Palace Spokesperson Edwin Lacierda and Communications Group Chief Ricky Carandang. The buzz in the anti-RH gallery was that they were calling up House members to persuade them to vote against the RH bill. Earlier in the week, a startling Manila Standard story last Dec. 6 quoted Alliance of Concerned Teachers party-list Rep. Antonio Tinio as saying that the Palace sought to bribe House members with P280 million EACH. This package was said to consist of the P70 million PDAF for each solon, public works projects, proceeds from the road-users’ tax and the Speaker’s bonus equivalent to one-month’s salary of P97,000. But the twist, said the story, was that the solons had to vote for the RH bill in order to qualify for this gift package to help them in their re-election. Otherwise, it would be given, if at all, after the May elections already---which would be useless to their campaign. That Standard story, never denied by Tinio, was very much in the minds of some anti-RH spectators during the visit of the Malacanang officials last night. These spectators had visions of fat envelops in paper bags being hidden from the House CCT cameras, especially since P-Noy's budget officer, Secretary Butch Abad, was around; but of course, there ought to be more sophisticated ways of extending bribes. The bold presence of the high-ranking Palace officials in the House yesterday delivered the unmistakable message of high-pressure sans pretensions. Thus, even as a few more amendments were still to be taken up, leaders of the anti-RH bloc decided to stop already, so that voting could commence. Their aim was to prevent the ranks of the anti-RH from being raided further. At that point, both sides had already tallied up names in their respective camps, but during the voting it became evident that a good number of solons expected to vote against the bill had either already gone home early---or they stayed away from the House completely that day. Interestingly, a number of pro-RH solons also stayed away or abstained, e.g., Deputy Speaker Jesus Crispin Remulla of Cavite, who startled the chamber by withdrawing his co-sponsorship of the RH bill and ABSTAINING. Either Remulla, who belongs to the NP, had a change of heart and is now anti-RH, or he feels smitten because Deputy Speaker Erin Tanada, P-Noy's dog-loyal party man, has been presiding over RH deliberations for many days now. The rule is that deputy speakers rotate at the dais. Apparently the anti-RH solons who stayed away had succumbed to political pressure, but they would have to reckon with their conscience in withholding their crucial vote on one of the most controversial issues in our history. Last night's visit of Palace officials to the House followed a series of moves by Malacanang to capture the solons’ Yes to RH votes. First the Aug. 15 lunch for all solons which was followed by the terrible flooding of the metropolis for two days. Then came the Dec. 3 Palace lunch where P-Noy reportedly gave his blessing for a “conscience vote” to the solons, but which only resulted in the lightning approval of the “Speaker’s substitute bill” that supposedly incorporated amendments deemed acceptable to the anti-RH camp. Then last Tuesday morning came the caucus of Liberal Party members called by DILG Secretary Roxas at his “Balay” residence, but this time the order from P-Noy was said to be to push the RH bill asap---no more conscience vote. 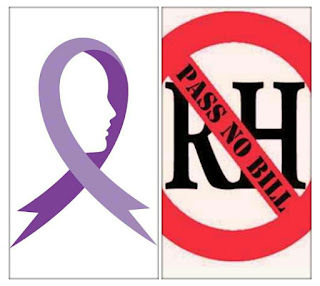 This was followed by two days of amendments introduced by various anti-RH solons to the “substitute bill” which its main author, Albay Rep. Edcel Lagman, however, routinely rejected. This provoked protests from anti-RH solons and moves to "divide the House"---only for these efforts to be routinely defeated after Deputy Speaker Tanada would invariably rule that the nayes out-shouted the ayes. At one point, Cagayan de Oro Rep. Rufus Rodriguez, one of the staunch anti-RH leaders, complained that Lagman was shouting his naye vote into his microphone, which was not permitted. The sharp eye that texted Rodriguez on that violation belonged to a professor from the UP College of Music, seated in the anti-RH gallery. Last night’s nominal voting yielded 113 votes for passage and only 104 votes against---a 9-point victory for the pro-RH. Very tight. Undoubtedly the anti-RH would have won that round, had not the Palace exerted tremendous pressure on some solons (one estimate said as many as 20 anti-solons were scared away). Voting on third and final reading is expected in the House on Monday, Dec. 17 after P-Noy certified the bill as urgent. It’s estimated that there are about 50 House members still uncommitted at this point. In 28 years of covering the legislature this writer has seen quite a lot of excitement there, but last night’s see-sawing of votes especially toward the homestretch remains one of the most unforgettable. At last night’s nominal voting some solons merely registered thumbs-up or thumbs-down, but many more stood up to talk about their stand. The pro-RH solons offered routine reasons---a number of hearts bleeding for poor women who die from childbirth daily or who have to grapple with many offspring amidst gripping poverty, or alllowing couples a choice in number and spacing of children, etc. But I, confessing partiality to the anti-RH bloc, thought that many of the Anti advocates advanced far better reasons for rejecting the bill. Some expertly argued violations of the Constitution in its provisions, while some lamented how this bill would destroy the moral foundations of this unique Filipino nation. Other anti advocates such as Rep. Aurelio Gonzales of Pampanga and Rep. Roberto Puno of Antipolo fell back on their having been reared in huge families; thus they said they couldn’t understand why this bill would want to infringe on the joys of family life through contraceptives. Word also reached the gallery last night that Manny Pacquiao had just landed in Manila and would head straight for the House to cast his vote. Like many Filipinos I was heartbroken when he was KO-ed by Marquez; but when he entered the session hall I found myself---doubtless like everyone else---“forgiving” him for my pain in the heart. Suddenly the solons gave him a standing ovation and the galleries followed, until the walls of the cavernous hall reverberated with resounding applause. Pacquiao stood at his desk teary-eyed---clearly overwhelmed by the unexpected shower of affection despite his KO. Then, speaking to the hushed chamber he recalled with naturalness how he fell with Marquez’ solitary blow and was rendered unconscious for two minutes. Jinky was crying and so was everyone in his team. When he came to, “that was when I realized how valuable life is and that is why I VOTE No to the RH bill. Lalong napagtibay ang respeto ko para sa buhay.” Mabuhay ka, Manny.